The Volkswagen Passat ranks among the biggest-selling badges in the world, easily surpassing its much more famous Beetle sibling. 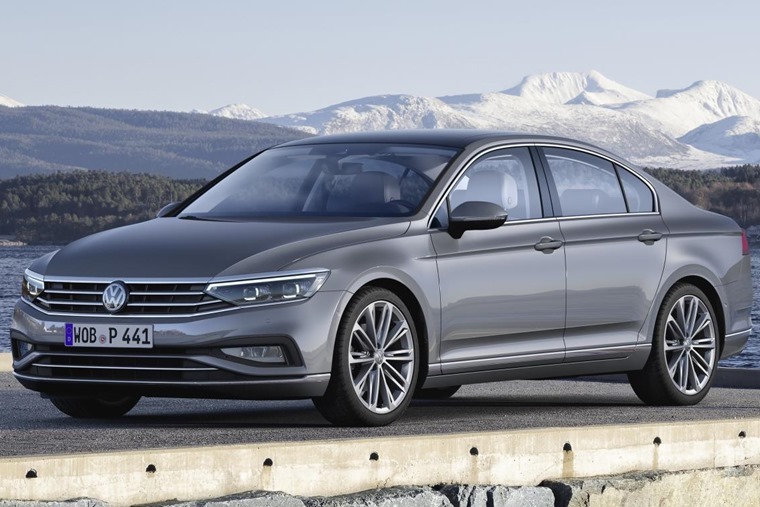 True, the Passat has appeared in many more forms than the Beetle, but there’s no denying the ongoing popularity of the Passat now its about to be launched at the Geneva Motor Show in what VW describes as an ‘in-depth technical update’. We’ll come to those updates in a moment, but how has the Passat gone on to sell 30 million cars across eight generations without it cropping up on most people’s radar? The truth is, the Passat is one of those cars that sells steadily in every market it’s available in. Never an outright chart-topper, it still manages to notch up the numbers by being good at everything it needs to be. It could have all been very different for the Passat as Volkswagen’s first break from the Beetle and models based on its rear-engined platform came with the K70. Originally developed as an NSU model with a rotary engine, VW inherited this car when it took over NSU in the late 1960s. To bring it into line with VW’s thinking, the K70 had a water-cooled four-cylinder petrol engine mounted up front and driving the front pair of wheels. The K70 was the Passat’s predecessor… not VW’s finest hour. While the K70 was practical and logical, it didn’t grab buyers’ imaginations and it soon withered to the end of its life in 1975. 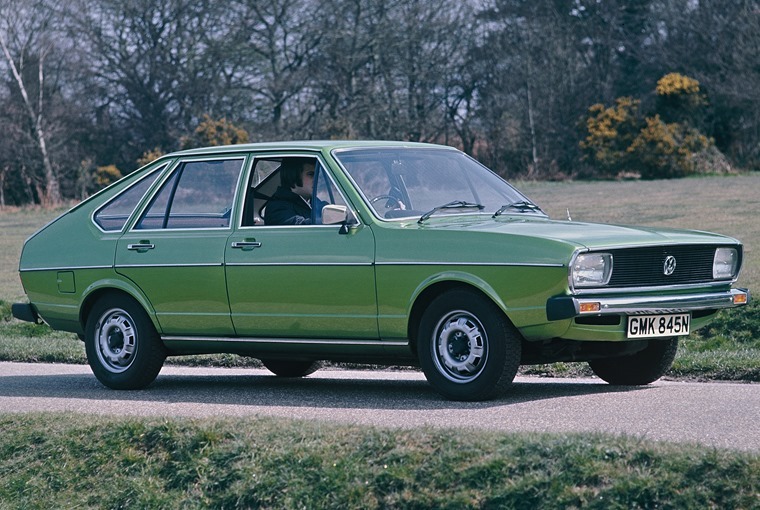 In the meantime, VW had refined its front-drive family hatch formula and launched the very first Passat in 1973. 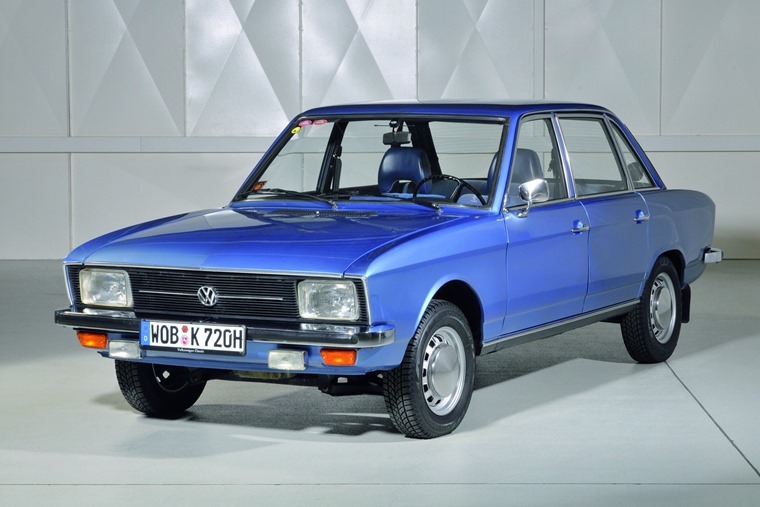 Compare its seven-year production of 1.769 million cars to the K70’s measly 211,000 and you can see why VW reckoned it was on to a good thing with this new model. Crisp looks that shared much of the Guigiaro flair of the Scirocco, the Passat was all things to all people. You could have two, three, four or five doors, saloon, hatch or estate and a choice of petrol and diesel engines. Of course, VW didn’t have the bewildering array of other models to offer then, so the Passat was the mainstay of its line-up for anyone who needed a bigger car than a Golf. The original B1 model was replaced by the B2 in 1980 and brought with it even greater build quality and space for passengers and luggage. This second-generation Passat was also notable for its excellent ride quality and safe, if a little stodgy, handling. It also separated out the hatch and estate models from the saloon, which VW decided to call Santana. Buyers were not fooled by this marketing ploy to divide the Passat from the saloon models, though the Santana sold in decent numbers and racked up 193,540 sales between 1983 and 1985. 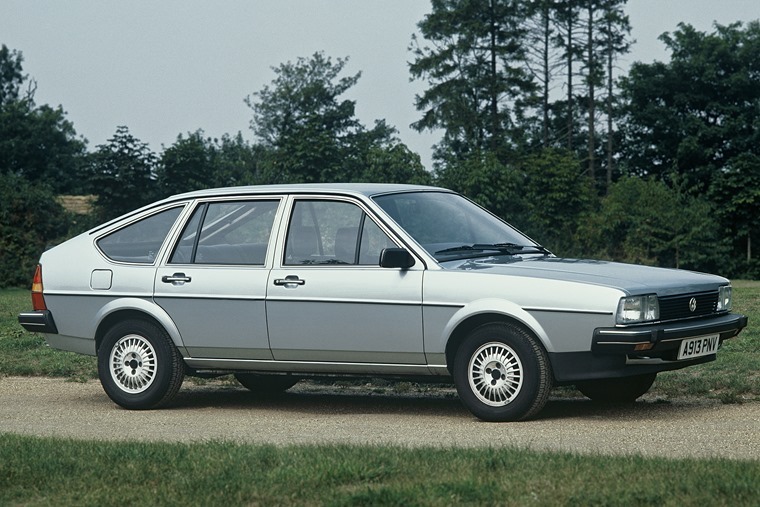 Overall, the Passat found almost two million willing buyers during the meat of the 1980s, earning its place as the preferred choice of those who wanted solid family transport but couldn’t quite stretch to a Volvo. When the B3 became the third in the Passat line, it would have been easy to mistake it as simply a more rounded update of the previous model. Certainly the looks gave that impression, but under the skin it was all change. Volkswagen ditched the old car’s north-south longitudinal engine position and ushered in transversely-mounted motors that freed up yet more cabin room. This also allowed them to fit the punchy 136bhp 1.8-litre 16-valve from the Golf GTI that turned the staid Passat into something of a performance saloon. 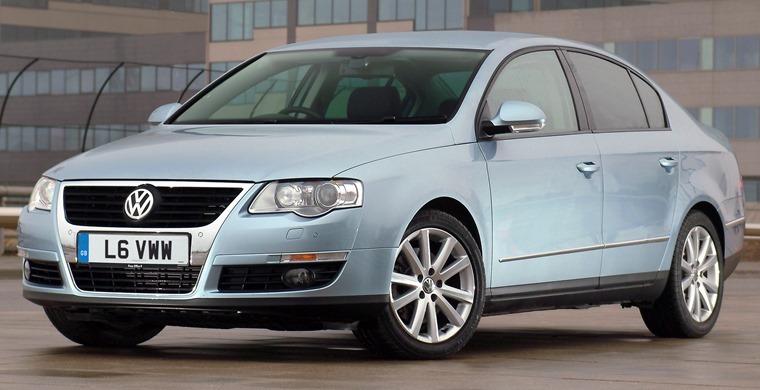 For many, this is the definitive Passat thanks to its clean lines, unburstable dependability and excellent comfort. Yet, it’s the B5 version that arrived in 1996 that set the template for the car we know today. The line-up was rationalised to a handsome four-door saloon and practical estate, both of which knocked on the door of the burgeoning compact executive market dominated by the BMW 3 Series, Mercedes C-Class and, worryingly for another division of the VW Group, the Audi A4. It really was that good and company car drivers were keen to choose the Passat as a step up and away from the Ford Mondeo and Vauxhall Vectra. Again, superlative build quality underpinned this Passat, while a huge range of engine options were offered at one time or another. Most chose the 1.8-litre petrol motor in standard or turbocharged form or the turbodiesels. If you were of a more adventurous nature, you could have a 2.8-litre V6 coupled to four-wheel drive or even VW’s oddball but intriguing 2.3-litre V5 motor. It was also this car, in long wheelbase form, that introduced the emerging Chinese market to the delights of the more modern Passat. Ever since then, the Passat has been a strong seller in China and this helps to account for the car’s massive sales total. 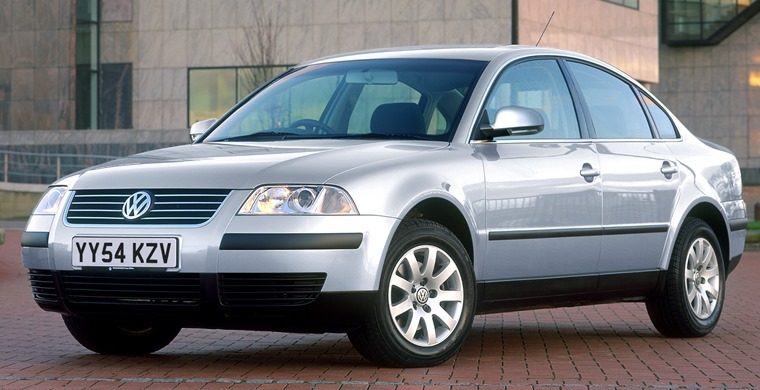 For 2005, another new Passat was unveiled and this time it didn’t share its platform with the Audi A4. For some, the switch to a platform common with the Golf was a trade downwards, but performance, economy, emissions and practicality all moved up a step. This generation also introduced a new body style to the Passat range with the CC four-door coupe, which proved a solid hit for VW. That brings us to the outgoing B8 model that was launched in early 2015. Again, it looked like a refinement of the previous car, but under the skin was VW’s new MQB platform that allowed its engineers to create many different models on a single scalable base. It also brought a host of new technologies with it, such as adaptive cruise control and parking assist. That leads us on to the next Passat, which incorporates more tech to keep it competitive against rivals. As a result, when this Passat goes on sale in May this year, it will have Travel Assist that allows for partial automated driving. Don’t think you’ll be able to head down the motorway with your feet up, though, as this system still needs the driver to interact with the car. On top of that, there’s Emergency Steering Assist to help out in evasive manoeuvres and an improved infotainment system with great focus on smartphone app integration that works with a Digital Cockpit. What this amounts to is a Passat that has regenerated to keep pace with the latest technology and demands from drivers. It’s not a radical departure from what went before and will offer improved economy and efficiency. 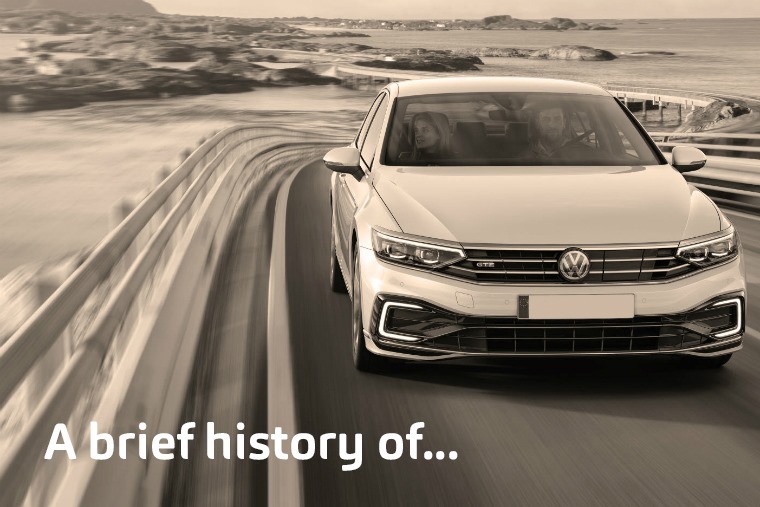 In other words, this is the Passat doing what it has been so successfully for the past 47 years, evolving with its drivers without ever trying to force them into anything radical. It’s might not be the most exciting business plan ever, but you can’t argue with how well it’s worked for VW.